As important as it is to define what an Ally is in a positive sense, it is also helpful to understand the boundaries of an Ally's role. The easiest means to establishing a program is to seek assistance from those individuals who are most likely already trained to cope with issues concerning gay, lesbian, bisexual, transgender and/or queer individuals or at least have some experience with such issues. In the workplace, the most amenable office would most likely be in the area of Human Resources. We Have a Group Interested in starting a program. Now What? 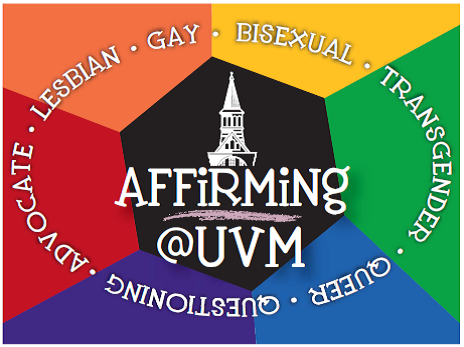 The Wesleyan Allies is a group of students, faculty, administrators, and staff committed to enhancing gender, sexuality, and orientation issues reflected in the Wesleyan community. Wesleyan's diversity involves multifaceted personal identities (age, race, class, gender, orientation, etc.). On both an individual and group level, these identities can be celebrated or denied, affirmed or oppressed, and be the source to strength, pride, and/or struggle. The Wesleyan Allies will focus especially on individual/group identities and issues of gender, sexuality, orientation, attraction, and affection. 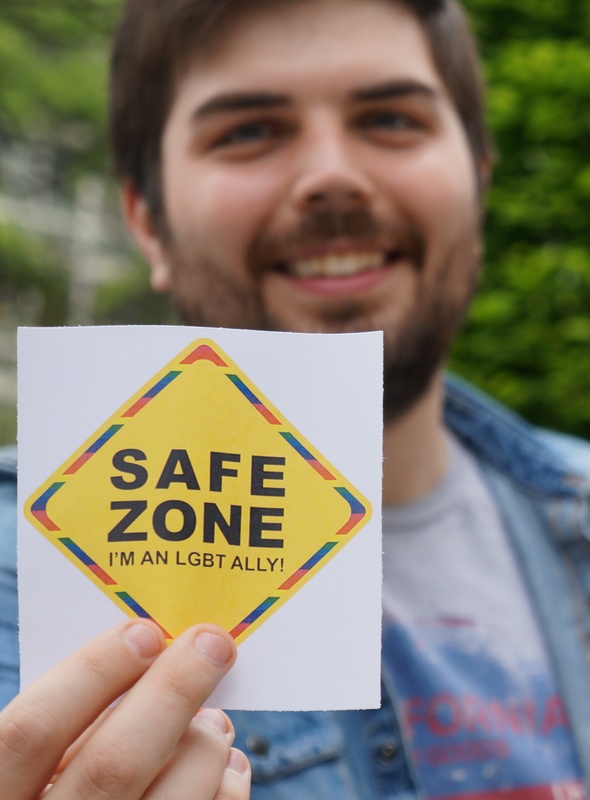 Safe on Campus is a program which identifies gay-friendly faculty and staff and students who provide support and resources for WMU gay, lesbian, and bisexual students. 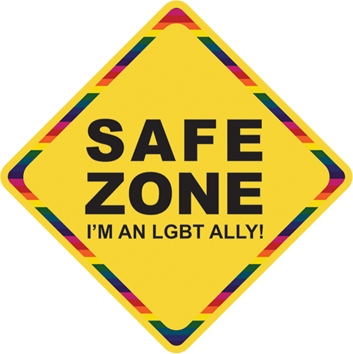 The Safe on Campus symbol is a message to gay, lesbian, and bisexual students and colleagues that you are understanding, supportive, and trustworthy. Students will know they can come to you for help, advice, or just to talk to someone who is supportive of their sexual orientation. The symbol also means that homophobic and heterosexist comments and actions will not be tolerated, but will be addressed in an educational and informative manner. Colleagues and students have a right to their opinion; however, if someone is stating myths or misinformation about gay, lesbian, or bisexual individuals you will inform them of more accurate information in a respectful manner. Now that you have a core network of individuals willing and ready, you need to make your presence visible to the wider public, whether that is the greater campus community or your fellow employees. In order to function, people who would use you as a resource need to know how to identify you. The easy way to accomplish this goal is to adopt a logo design. Often these designs incorporate one of the symbols mentioned above such as the pink triangle or the rainbow flag; however, the logo does not have to incorporate any existing symbol. It should attempt to visually reflect the purpose of your group. The main thing to remember is to publish what this logo stands for. In other words, draft an ad in the campus newspaper or write an article for your employee newsletter showing the logo and detailing the mission of your network. Members of the program should display this logo, whether it be in the form of a sticker, button, or magnet, in a visible location such as their office, dorm room, or on their bag. Now that you have your core group organized and functioning, you need to develop a means to train and/or attract new members. This is especially important in a university setting where student turnover is extremely high, i.e., a new class comes every year as another class graduates. Training workshops would be designed to focus on two parts: (1) exposing, examining and working through one's own internalized oppression and prejudice and (2) learning how to respond effectively to situations that an Ally may encounter. 1. Do you ever not do something because others may think it makes you look gay or lesbian? 2. How would you feel if you had an LGBTQ child? 3. Would you suggest that a person see a therapist if they came out to you? 4. Have you ever laughed at a homophobic or transphobic joke? The aim of these questions and others similar in theme are to assess personal levels of homophobia, heterosexism and transphobia. While the purpose of a program is, in part, to discourage and eliminate homophobia and transphobia, American culture is homophobic and transphobic, and you must discover in what ways you have internalized those ideas and behaviors. Once this is accomplished, you are better able to move onto the second part of a training workshop. Part Two involves learning what situations you might encounter. The most obvious is that a friend, peer, colleague or student might come out to you. A less obvious situation is that a friend, peer, colleague or student might express discomfort and/or confusion about being confronted by a visible LGBTQ culture. For example, a student may feel confused about the purpose of sidewalk chalking on a college campus on National Coming Out Day. Remember that as an Ally your goal is not only to help people in the coming out process, but to help other non-LGBTQ individuals understand the importance of equality, fairness, tolerance, and mutual respect. The best way to prepare for such scenarios might involve working through a series of role plays with others training to be Allies. To inform and educate others about sexual orientation and gender identity and to dispel myths and misinformation about the LGBTQ community, you should design a resource packet for your group. One of the most important aims is to assess if that program is accomplishing its intended goals. In other words, follow-up procedures should be established to identify where things are running smoothly as well as where there is room for improvement. Follow-up and feedback should be incorporated into the training workshop mentioned above in Section 3 in order to identify areas of the workshop that could be improved. It is important to remember that due to the nature of the topic, the information included in these follow-up forms is sensitive, and should remain anonymous and confidential. The National Coming Out Project and the Human Rights Campaign Foundation would like to acknowledge the assistance of Lucent Technologies' "Safe Space Program," Wesleyan University's "Allies," Western Michigan State University's "Safe on Campus" Program, Pennsylvania State University's "Gay, Lesbian, Bisexual Support Network" and Washington State University's "Gay, Lesbian, Bisexual Allies Program." Without their submission of materials, this project would not have been possible.